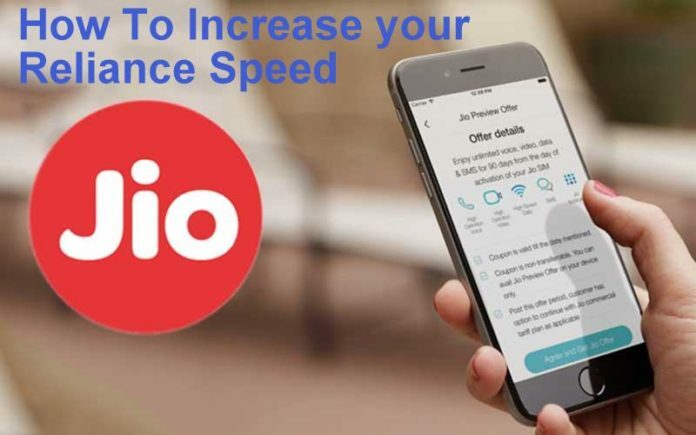 Reliance Jio has launched its first Jio Preview Offer by promising the fastest speed among all other telecom networks. So many people across the world stand up in long queues to get hold of Reliance Jio sim as they are offering free unlimited internet, free data calls and free messages. The company attracted many customers with its surprising Jio Welcome Offer. But that didn’t last for more. Nowadays, Reliance Jio’s fabled speed to drop from 50 Mbps to a crawl of 6 to 10 Mbps and even at 8 Mpbs the speed is not constant. Before 5th September the day when Reliance has introduced Jio Welcome Offer, and Sims are made available to all users, would see a speed as high as 30 Mbps to 50 Mbps. Reliance might still be testing its network before the commercial launch on 1st January 2017, and the Jio Welcome Offer will be the final beta of Jio service. But wherever it may be all the Reliance Jio customers are looking for speed that they got earlier. At the same time, the new customers who have just joined the Jio network are accepting the speed that was guaranteed to them. The Internet is a full of tricks and tips that will help the users to get better and fast speed. Are you confused about 4G band then check out the information about it. What is a 4G Band ? A phone automatically switches between bands according to the strength of the signal at a specified location. You can follow the below methods to get better Jio speed. Now you have to select ‘Set Preferred Network Type’. Install Shortcut Master (Lite) app from Google Playstore. In the search bar type ‘Service Menu’ or ‘Engineering Mode’ and then click on search button. Open and access to change LTE bands. Install MTK Engineering Mode on your phone. From ‘MTK Settings’ select Bandwidth. Choose the sim slot where you have to put your Reliance Jio sim. From that click on band 40 for best speed and band 5 for best coverage. Save all the settings you have made and reboot your mobile to activate changes. Reliance Jio is the only network that supports all three bands for best coverage and better speed. So if you lock the network at band 40, you cannot be able to switch to the network band with better coverage. Similarly, if you lock at band 3 or band 5, you may get the best coverage, but speed may not be enough. You can also increase the Reliance Jio Speed by changing APN settings. But before changing the settings, you need to note down current settings. After changing the APN settings, download Snap VPN app from Google Playstore. Once the download is completed, install the app and connect to the Singapore or France server which improves the downloading speed but not browsing speed.